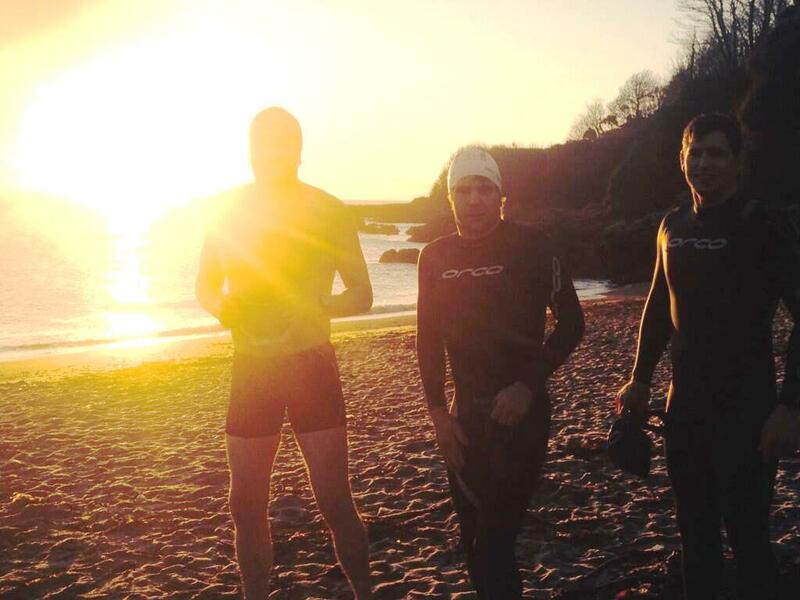 I was impressed when Gary Frost held his 40th Birthday celebrations on the beach – part of them anyway. However, that looks like a feeble commitment when compared to bringing your wife down to watch you swim at 8.15am on a Saturday morning, on the day of your 1st Anniversary. Take a bow, Orlando Hill…..sorry we couldn’t get a better picture! 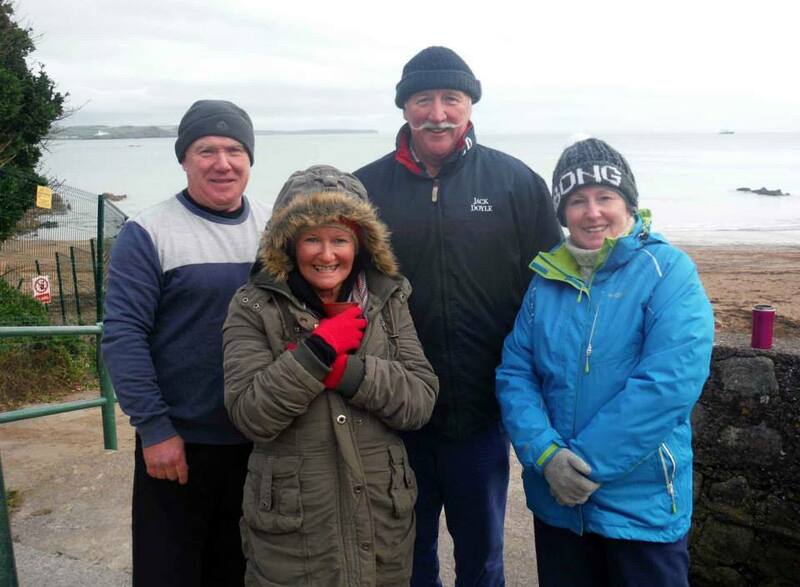 Damian O’Neill, James Slowey and The Anniversary Man, Orlando Hill on a frozen beach last weekend – where else would you be for a big occasion? 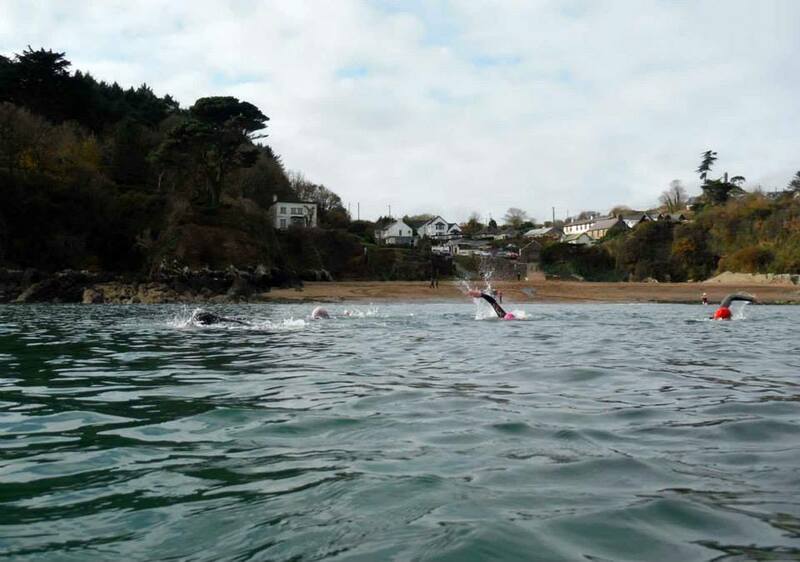 Great numbers for the swims last weekend, with fifty swimmers over the two days. 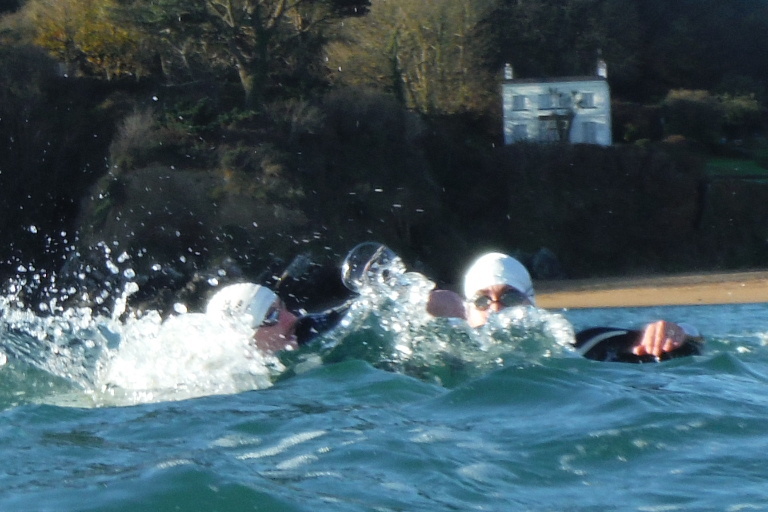 We had temperatures on land between -2c and 7c and in the water around 10.5c-11.2c, depending on whose watch you checked. 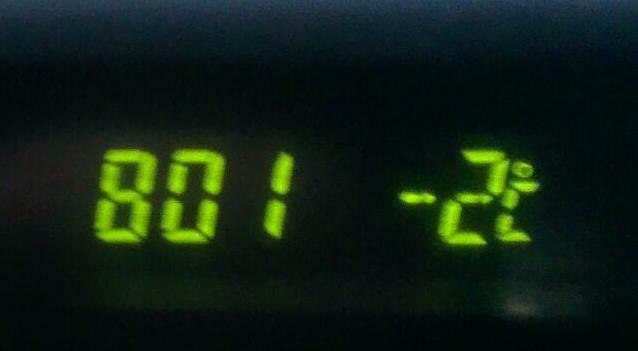 Whatever the temperature, it was beautiful. An Action Shot. Anne Sheehy had to get out of the way quickly after shot was taken. 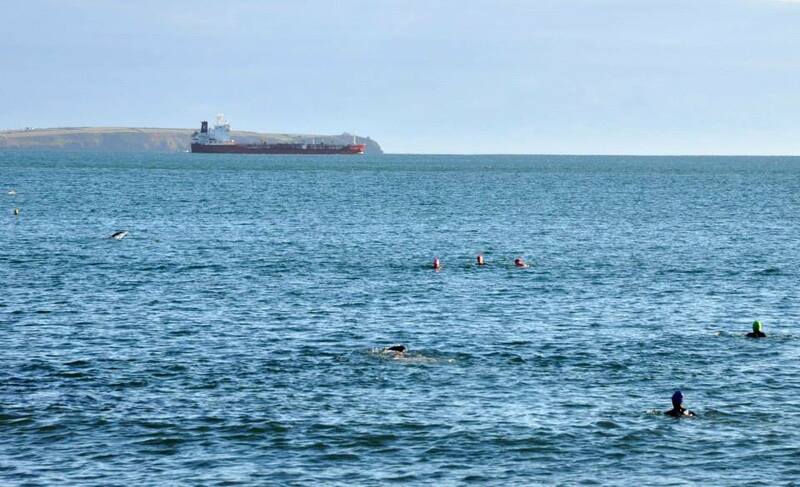 Bernard Lynch always maintained he’d know when Myrtleville became the acknowledged best swimming location – when Mike Harris came to swim there. 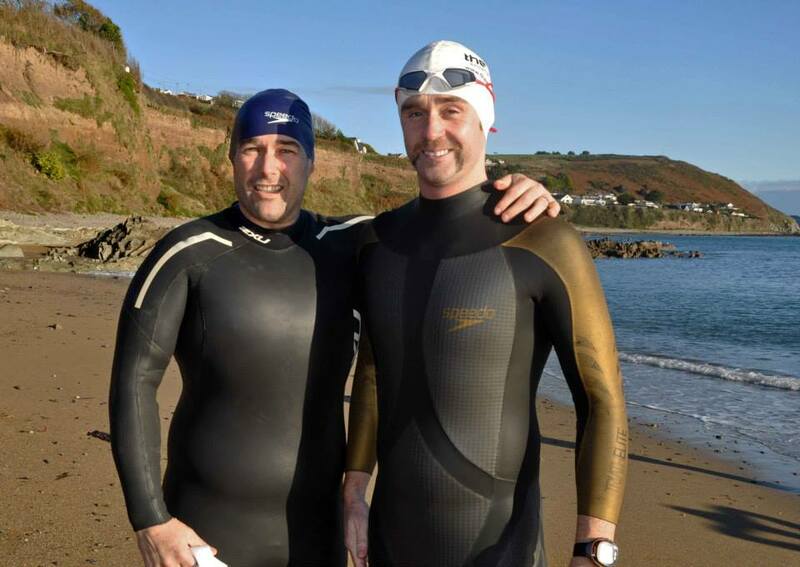 Bernard had a great day on Saturday when Mike arrived for the Turkey Swim…..
Mike Harris in Myrtleville – proudly snapped by B. Lynch. Mike clearly also had a great day, because he came back on Sunday and brought Angela…. 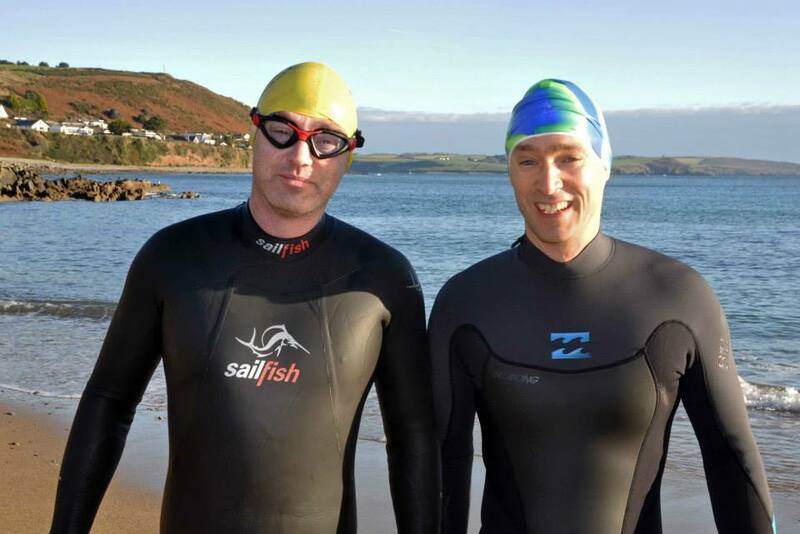 Two great swims in Myrtleville over the weekend – three, counting the 08.15 one on Saturday, which started with this…..
-2c on land – can’t wait to hit the water! The 10.5c water was a relief after the cold on land! Loads of pictures from Anne Sheehy and Siobhan Russell to post and I’ll get them up during the week. 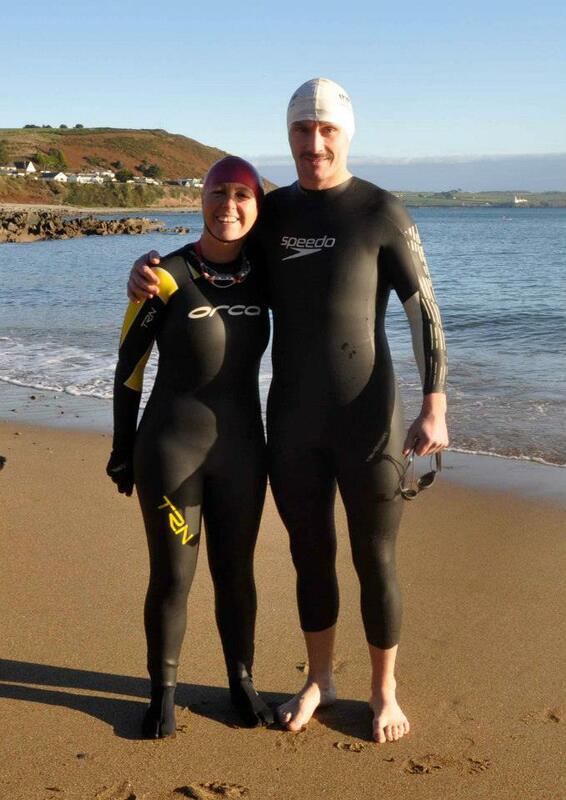 Thanks to Carol for organising the swims this weekend. Carol in charge of the cash! 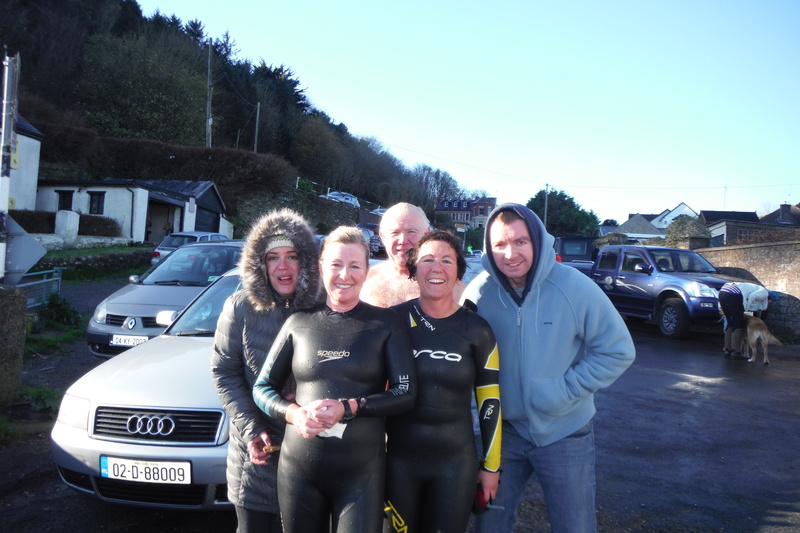 Ros O’Brien, Anne Sheehy, Denis Condon, Rob McFadden and Audrey Burkley on her first swim in Myrtleville. Don’t forget the logo competition!! Dog Day Afternoons – in Winter. 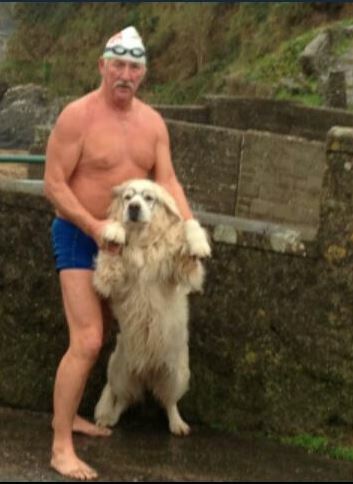 To add to our equine member last weekend, Anne Sheehy sent me on a couple of pictures of one man and his dog. 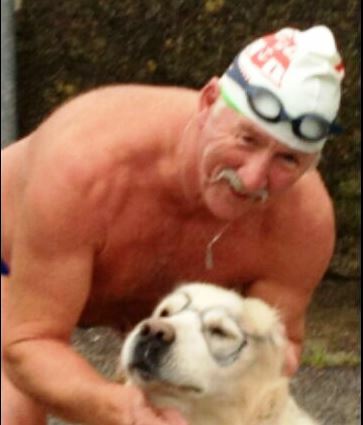 Tom McCarthy kits out his dog for Winter swimming. 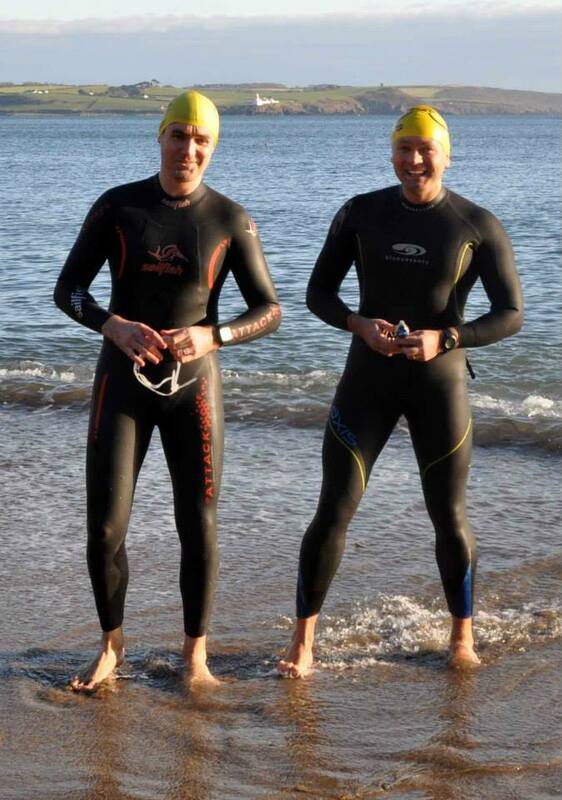 Speaking of equine – Tom’s a horse of a man…..
Tom McCarthy & swimming partner. I also got this one, of one girl and her sister…. 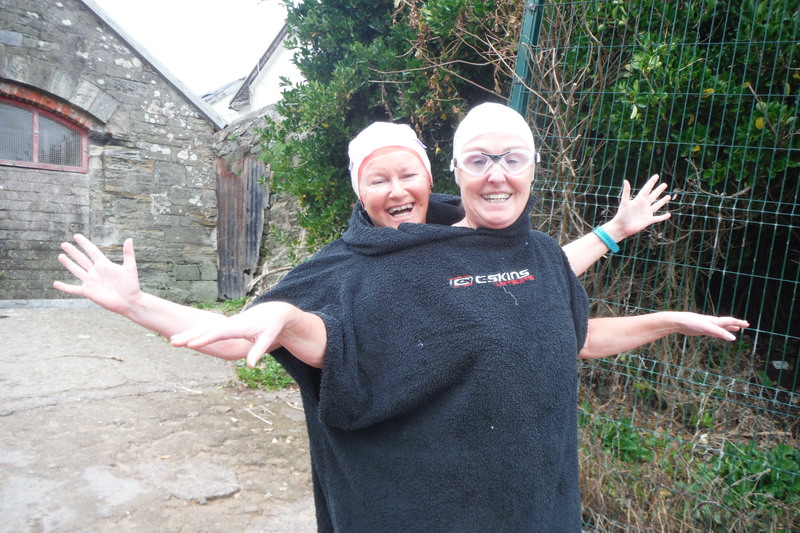 Anne Sheehy & her sister, Carmen Burns, making full use of scarce resources – they’re only small, so there’s plenty of room…. 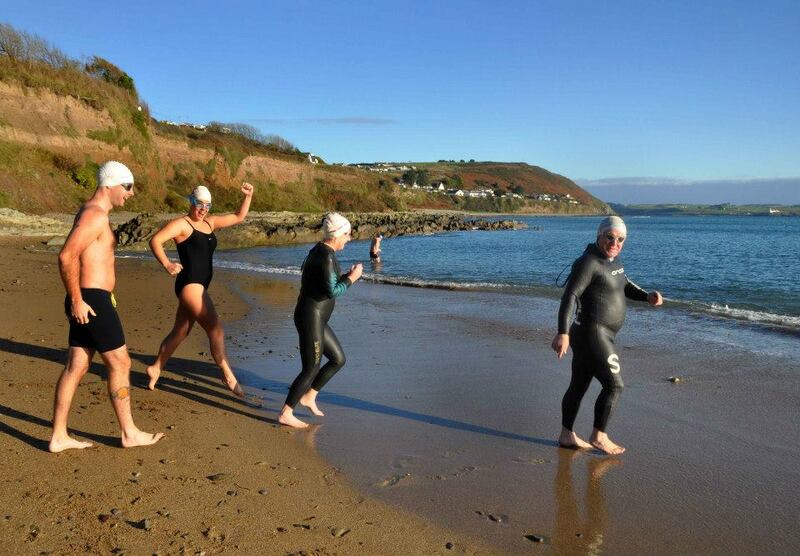 The series organiser, Carol Cashell, has scheduled three dates in Myrtleville this year for the annual Turkey Swims. These are November 23, 24 and December 21. Everyone is welcome and details are below. 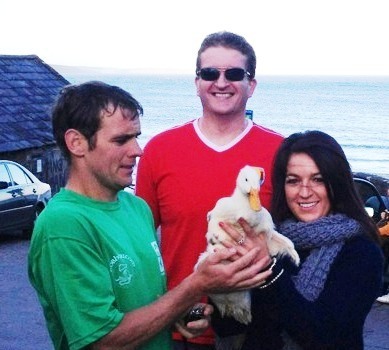 DAY DATE LOCATION TIME SIGN IN WITH..
Lucky Duck – regular Myrtleville Swimmer – may make an appearance to support other Fowl Friends. 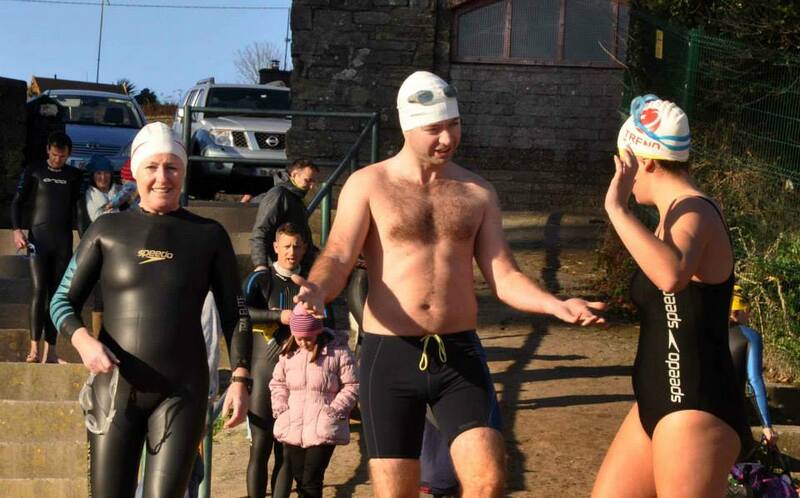 ** Swimmers Sign In and pay €2 on the day of Swim. (someone will have a money box and sign-In sheet). ** Money Collected goes towards Prizes drawn on 22nd Dec at Sandycove. These include Butcher Vouchers (instead of an actual Turkey) and many other spot prizes (wine / chocolates / selection boxes etc!). We had over 20 prizes last year. ** Make however many swims you can, 1 – 10. ** A Swim will be defined as being in the water for more than 10minutes!, Doesn’t have to be a full lap to the Dutchman. 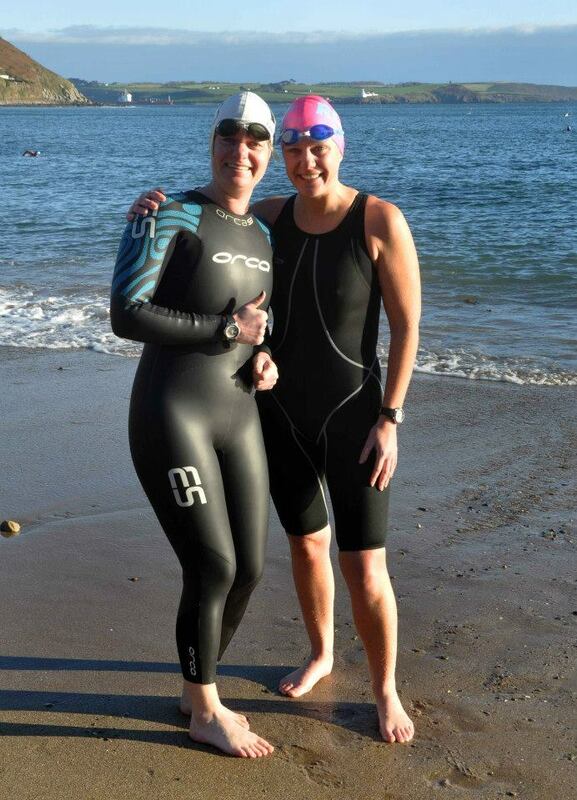 Togs or Wetsuit, up to you, swim safe, stay warm, swim with similar speed buddies. 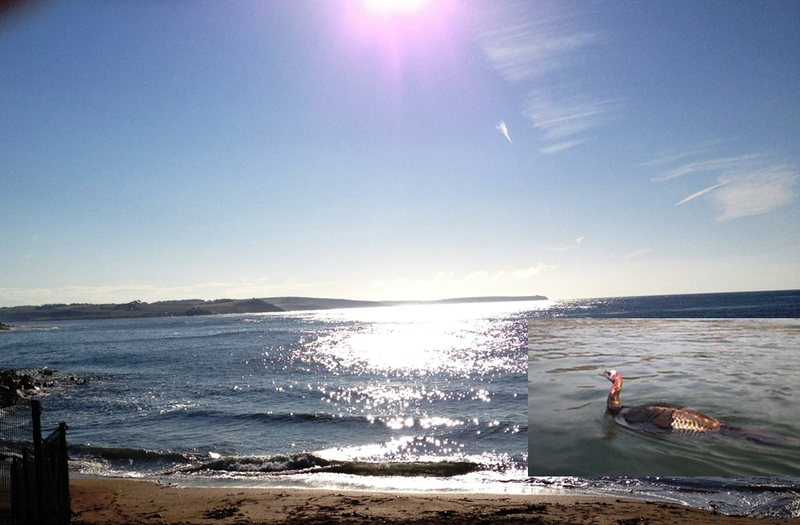 Amazingly, we’re still up at 11.5c to 12c in the sea and the Winter is being kept at bay. 14 swimmers on Saturday morning and another good group today. 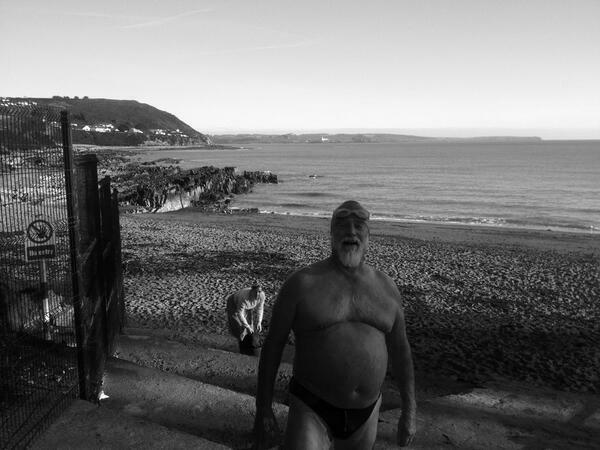 The sheer joy of swimming this late in the year is driving some people to spontaneous displays of happiness…. 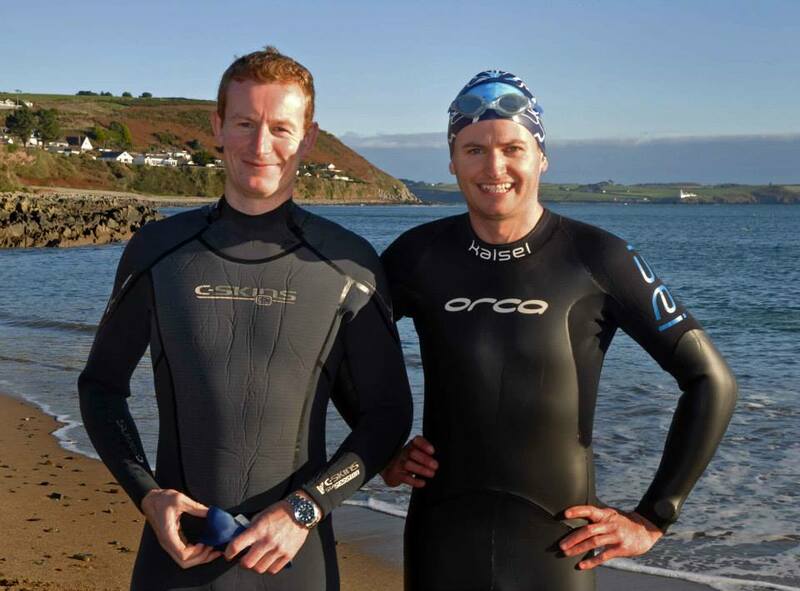 Denis Condon was in six days this week – he’s an example for us all! 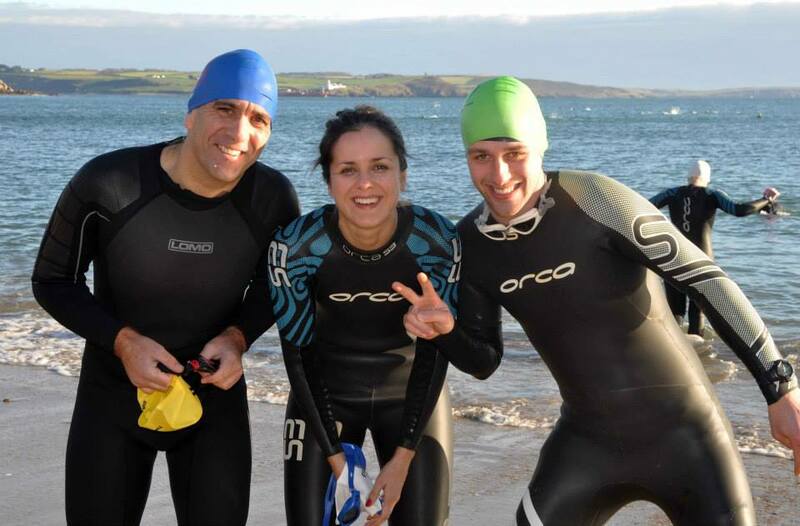 Denis Condon, Carmen Burns, Tom McCarthy & Anne Sheehy – no stopping them! 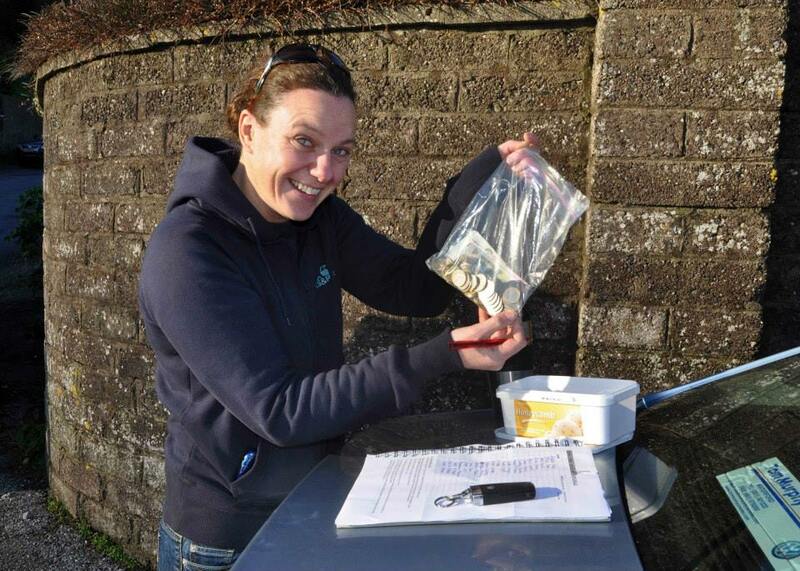 Siobhan’s new waterproof camera is getting trial outings – we’re expecting great things from that in the coming months. Siobhan’s new camera – get ready for the view from the Water. 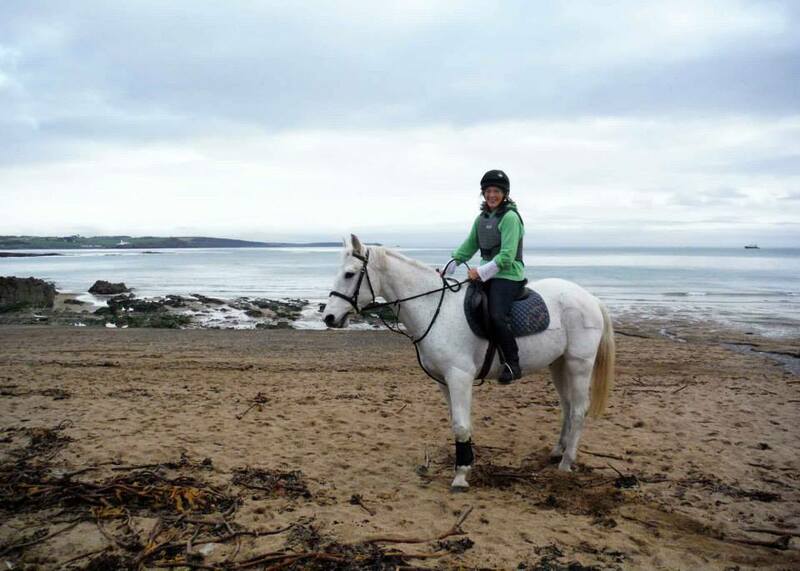 And finally, we’re always happy to share the beach with all-comers…..
Nobody said you had to be horses to swim through the Winter…. 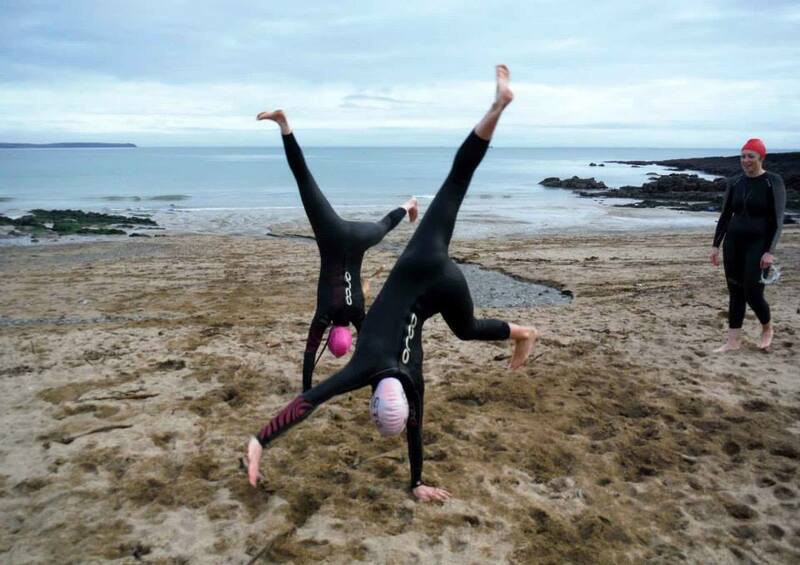 We are running a competition, open to artists of all ages, to design a Myrtleville Swimmers logo for the new swimming caps. 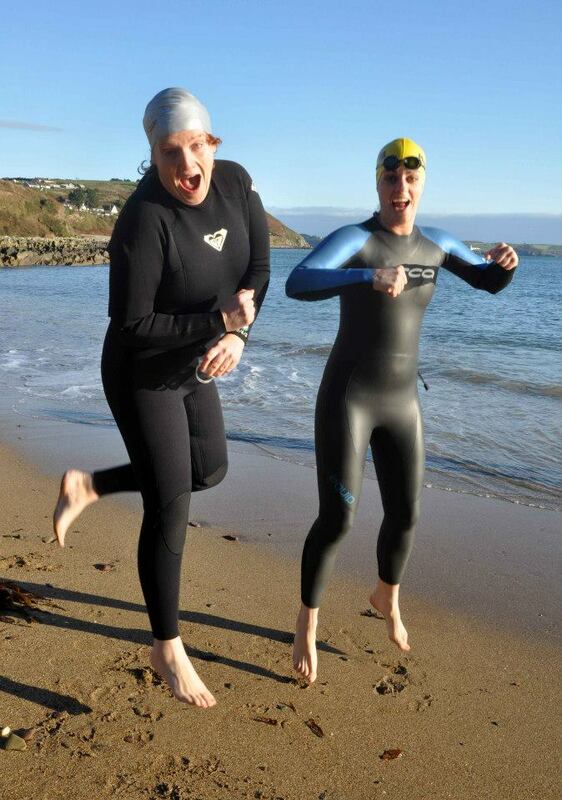 The logo must include the words Myrtleville Swimmers. 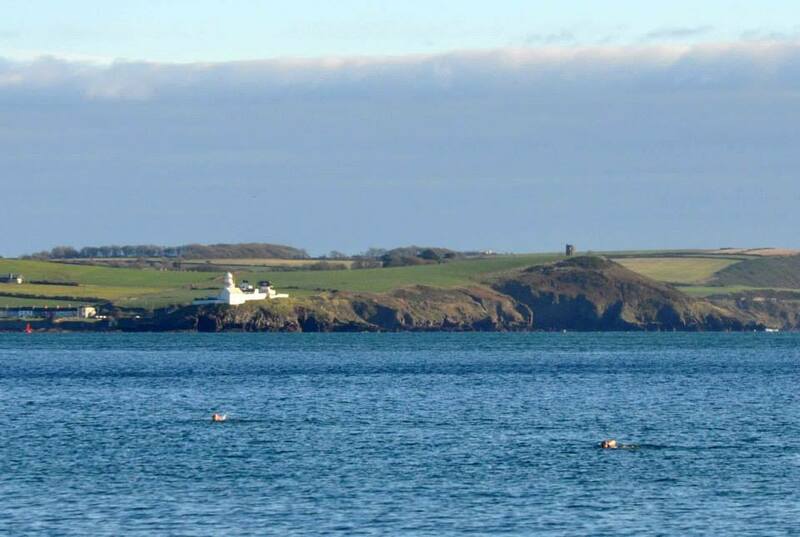 We suggest it should incorporate some of the fantastic views around Myrtleville Beach – the Dutchman, Roches Point etc. – but that’s up to each individual artist. All entries must be posted to Logo Competition, Centra, Crosshaven, Co. Cork. Do not put your name on the logo entry. Instead, each entry should have a covering page with the name, address, telephone number and email address for the entrant – and age, if you wish. Each entry will be numbered when opened and the judging committee will see a number only – they will not know the name or any details of the entrant. The winning logo will be used as the basis for a design to be printed on the new caps. The winning artist will receive all the associated fame, as well as a Diesel Hoodie in their size and a bottle of champagne, courtesy of Centra, Crosshaven. Entries are open until December 7, 2013.